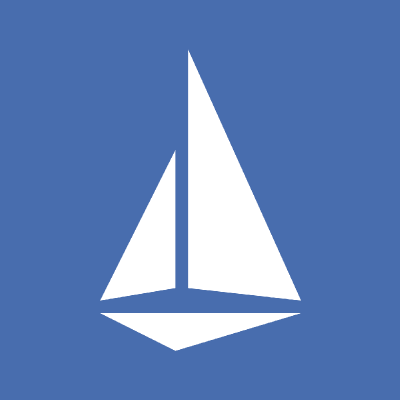 The first major upgrade of Istio, the open-source service mesh for orchestrating, securing and monitoring microservices in Kubernetes, has taken longer to arrive than expected, but is finally now available. Istio 1.1 comes eight months after the original 1.0 release last summer and will bring improved scalability, enhanced multi-clustering and a simplified approach to implementing updates. The open-source Istio project, sponsored by Google, IBM and the ride-sharing service Lyft, had hoped to complete the first update by January. Wide adoption had the consequence of discovering more bugs in the 1.0.x releases than desired, resulting in the delay, according to 𝖣𝖺𝗇 𝖢𝗂𝗋𝗎𝗅𝗂, a Google product manager for APIs and services. “We’ve had to put more effort than we would have hoped going into the 1.0.x patch releases, which has pushed back the 1.1 delivery date,” Ciruli explained in a January update on the Istio community site. Istio is an extended iteration of Envoy, a high-performance proxy that mediates all inbound and outbound service traffic from the mesh using Pilot, which manages and configures each instance in a specific Istio service mesh. Istio is built on the service mesh platform that Google has used internally over the past several years. IBM, Google and Lyft established Istio as an open-source project in 2016 to help DevOps teams uniformly manage, connect and secure distributed microservice architectures in hybrid cloud environments. While Istio 1.0 came out of the gate with the ability to enable clustering in a service mesh, the Istio-remote component must be deployed to each remote Kubernetes cluster. “The multicluster story gets easier in 1.1, as the new Galley component helps synchronize service registries between clusters,” Google developer programs engineer Megan O’Keefe, noted in a recent blog post. Improved multiclustering is the most common request among those using the beta of an Istio service mesh released in December by Aspen Mesh, a startup incubated by F5 Networks. “It has been a pretty common request when we talk to people,” said Randy Almond, who oversees market development at Aspen Mesh. Zach Jory, the company’s head of marketing, added that Istio 1.1 will deliver greater scalability. “They are changing the way Pilot works with the Envoy proxies to make it more scalable, which is necessary when you start to get into thousands of microservices in a cluster,” Jory said. Google’s Ciruli noted that Istio 1.1 will also provide easier upgrades when new versions are released. Preliminary release notes on the Istio team site noted contributions from Google, IBM, VMware, Huawei, RedHat, Cisco, SAP, Salesforce, Pivotal, SUSE, Datadog and LightStep.